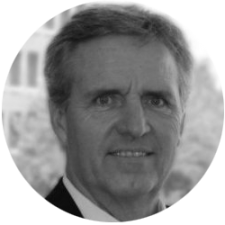 Jeff Hocke’s 30+ years of business, operations and project experience have given him the proven successful knowledge and skill to engage with clients in support of performance improvement goals. He helps clients through his ability to diagnose and solve challenges, develop and guide system implementations, coach and advise staff at all levels, and energize teams. He supports clients with extensive experience in business and project leadership, strategic planning. financial control, EPC project management, outcome assurance, contract development, scope and change management, team building, work face planning, interface management, earned value systems, PDRI facilitation, risk identification and management, estimating, procurement, quality and safety. His involvement in industry groups such as Construction Industry Institute (CII) Research Teams has added to his wealth of project and systems knowledge. He is recognized for his ability to quickly process vast amounts of information and establish workable solutions and improvements.